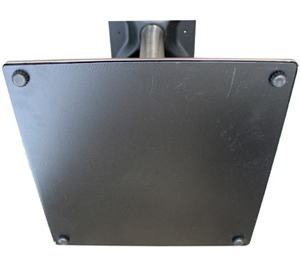 304 outdoor grade 1mm thickness, #4 satin finish Stainless Steel Shroud Over A 5/16"
Mild Plate Steel Powdercoated Ballast Bottom. 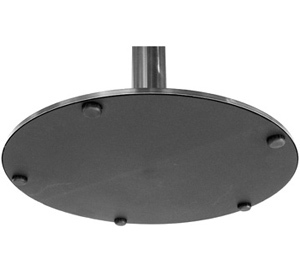 3" Diameter And 3" Square Stainless Steel Columns are 304 outdoor grade 1.6mm wall thickness, #4 satin finish. 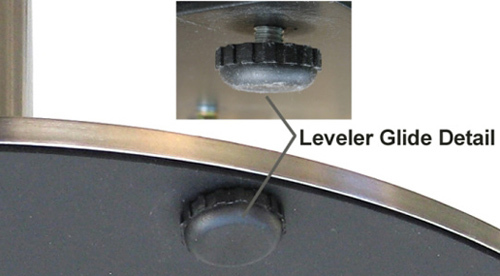 Adjustable Levelers On Table Base Underside. 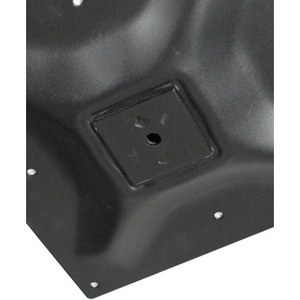 Table Top Attachment Plate 11 3/4" X 11 3/4". Bar Height And Custom Heights Available. 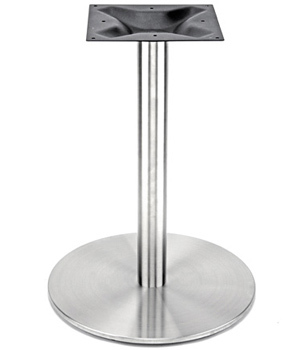 Round Stainless Steel Table Base Bottom Underside And Adjustable Leveler Detail. 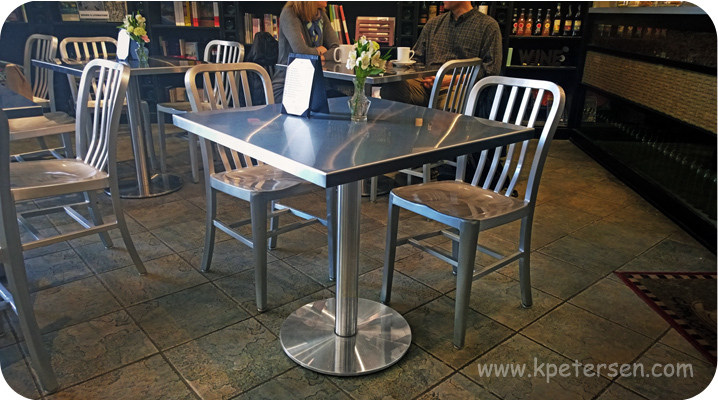 Stainless Steel Table Bases Can Be Cut To Custom Heights. Square Table Base Bottom Underside And Adjustable Leveler Detail. 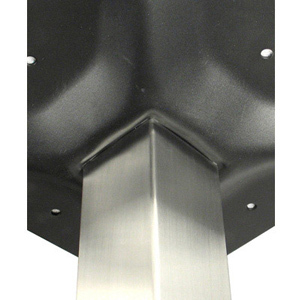 3" Square Stainless Steel Column Detail. 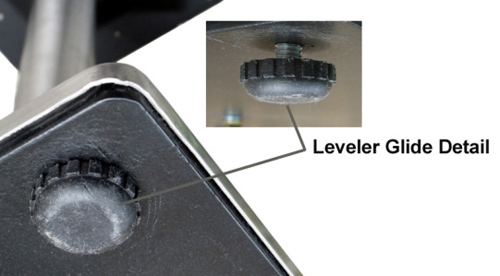 Square Column Top Attachment Plate Details. 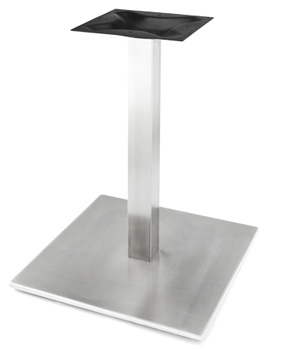 These 304 grade stainless steel table bases are very resistant to corrosive environments but do require periodic care and maintenance. Cleaning is necessary on any grade stainless steel to prevent corrosive particles from gathering in the grain of the stainless steel surface. Corrosive particle build-up results in a rust colored stain. One might think that the stainless steel is rusting but it is actually the corrosive particles that are reacting and causing staining. Weekly cleaning with a good stainless steel cleaner will keep the stainless steel surfaces free from corrosive particles. In environments where there is salt and or chlorine present weekly cleaning with water and liquid detergent followed by drying will keep the stainless steel surface free from contamination. If staining has already occurred the surface can be cleaned with a non abrasive kitchen "cream" cleanser. The spider and the ballast plate are not stainless steel. We cannot guarantee these components against corrosion. 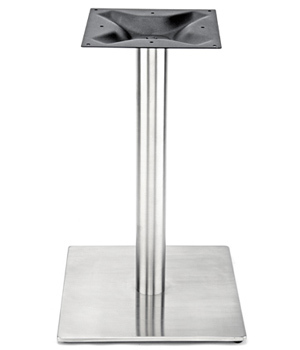 A protective spray and/or frequent drying is necessary if the table bases are to be left outside or used in a corrosive environment. Mild steel is the most common form of steel as its price is relatively low while it provides material properties that are acceptable for many applications. 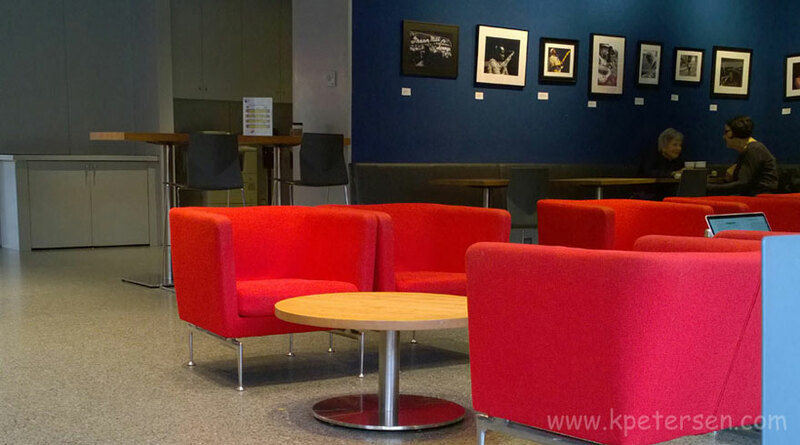 Mild steel has a low carbon content and is therefore neither extremely brittle nor ductile. It becomes malleable when heated, and so can be forged. It is also often used where large amounts of steel need to be formed, for example as structural steel.